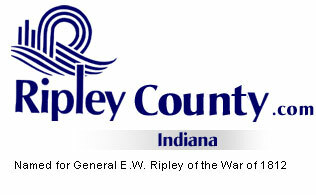 The Ripley County Council met on Tuesday, May 16th, 2006 at the Ripley County Annex in Versailles, Indiana. Donald Dunbar, Council President called the meeting to order promptly at 7:00PM with the pledge of allegiance to the flag. Council Members Don Dunbar, David Simon, Edward Armbrecht, William Dramann, Ben Peetz and Mark Busching were present and Dephane Smith was not in attendance. Council Member Armbrecht made a motion to approve the appropriation $6,472 from fund #294-44600-000-294/HAVA Title Non reverting seconded by Council Member Peetz. Motion approved unanimously. Council Member Dramann made a motion to approve the appropriation of $22,000 from fund#276-37550-000-276/Ripley County Local Coordinating Council (Drug Free Fund) seconded by Council Member Simon. Motion approved unanimously. Council Member Dramann made a motion to appoint Melvin Meisberger to the Ripley County Department of Parks and Recreation Board seconded by Council Member Busching. Motion approved unanimously. Councilman Busching had questions on the purchase of the chairs for the commissioner’s room. Busching wondered who they had gotten quotes from and Commissioner Reiners advised they had quotes from Office Shop and Jackson Office Supply. Commissioners Reiners advised that Office Shop had the lowest quote. Council Member Armbrecht made a motion to approve the abatement for Wagner Truss Manufacturing seconded by Council Member Simon. Motion approved unanimously. Council Member Armbrecht advised that he had received phone call on the PERF at 3% in place of a raise. Council and Commissioners approved that Armbrecht meet with the employees. Mike Wolff, Sunman, In. presented a petition To Form Sunman Regional Sewer District Pursuant to IC 13-26. Commissioner Reiners advised that the commissioners are waiting to see what happens with the Lawrenceburg Grants before making any decision. Wayne Bailey explained that the portion of Ripley County, which is specifically 126 acres along the I-74 corridor and bounded by Hwy 101, Hwy 46 and I-74 targeted for private commercial development. Such development has been precluded for lack of a sewer infrastructure. Council Member Armbrecht made a motion to adopt the resolution for the formation of the Sunman Regional Sewer District of Ripley County seconded by Council Member Busching. Motion approved unanimously. (Council President Dunbar advised that it should be upon commissioner approval). Council President Dunbar advised that he would like to visit Jennings County as soon as possible to look at their new Annex. After a short discussion it was decided to visit Jennings County on Wednesday, May 24th. Council Member Dramann made a motion to adjourn until the next regular meeting on Tuesday, June 20th, 2006 @ 7:00PM seconded by Council Member Busching. Motion approved by those present.